Raw Wraps. | Eat More Plants. The more vegetables I can fit into my day, the better I feel. 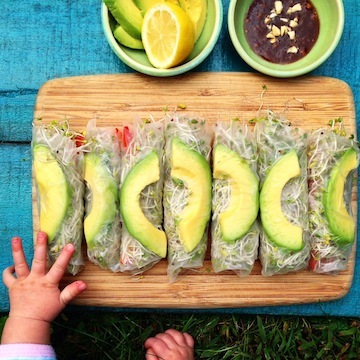 A wrap is a really simple way to add veggies! I used nori like you would use for a sushi roll. 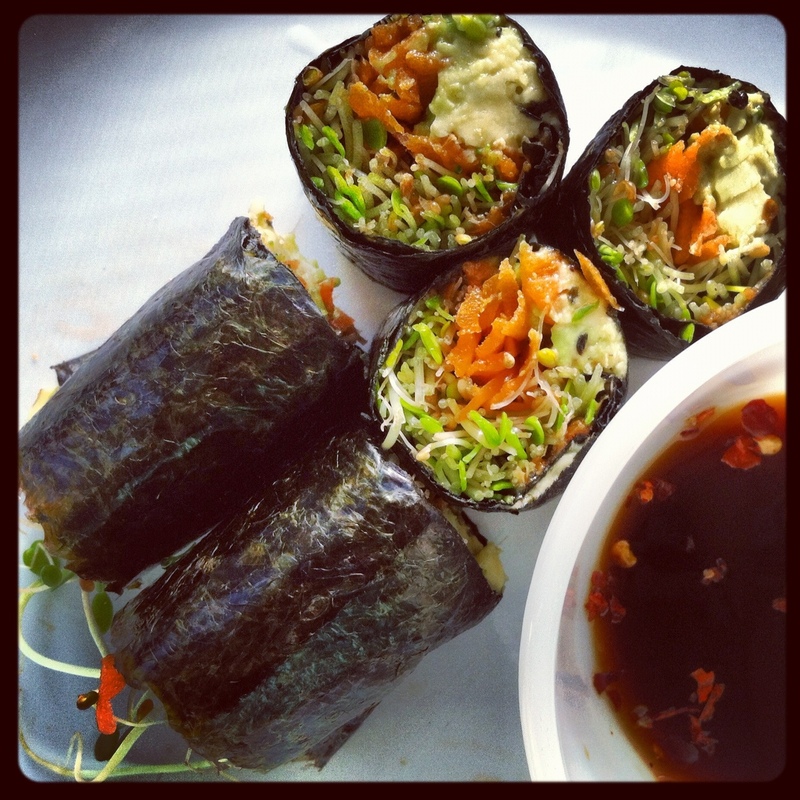 Shredded carrot, sliced avocado, broccoli sprouts and some unpasturized miso. Quick and painless preparation. It doesn’t necessarily need a dipping sauce but I made a little mix of tamari, garlic and red pepper anyway. I’m almost 10 pounds down from when I started my venture into raw food…! Kind of feels awesome. Haven’t changed anything but the food I’m eating. I’ve always done yoga religiously every day and I guess I could call myself a seasonal runner: when it’s nice enough to run outside, I do it. Lol. I feel like my body is appreciative of the changes I made to my diet as well. No bloating, nice skin and a little more flexibility than usual. Coincidentally, December 4th was the day I started my vegan venture and 5 years ago on December 4th was when I quit smoking! Weird. You could try any leafy green veg; collard greens work wonderful as a wrap, swiss chard, jicama sliced very thin on a mandolin, kale, or if you want to stray from using an actual veggie you could always try a tortilla! Oh I like the jicama idea! Brilliant, thanks!